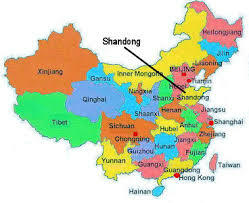 Shandong is a province on the eastern coast of China. Agriculture plays an important role in the economy. Shandong is also known for its mountains, particularly Tai Mountain (TaiShan). Tai Mountain has significant ties to Confucian ideas and history. This song is a joyous song about the beauty of the mountains in Shandong province.